Blue steel structures assembled on Graben street in Vienna. 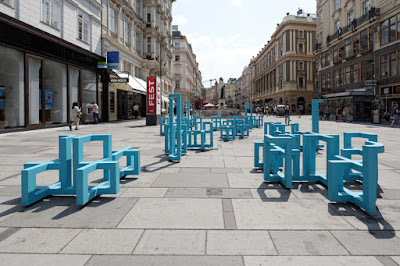 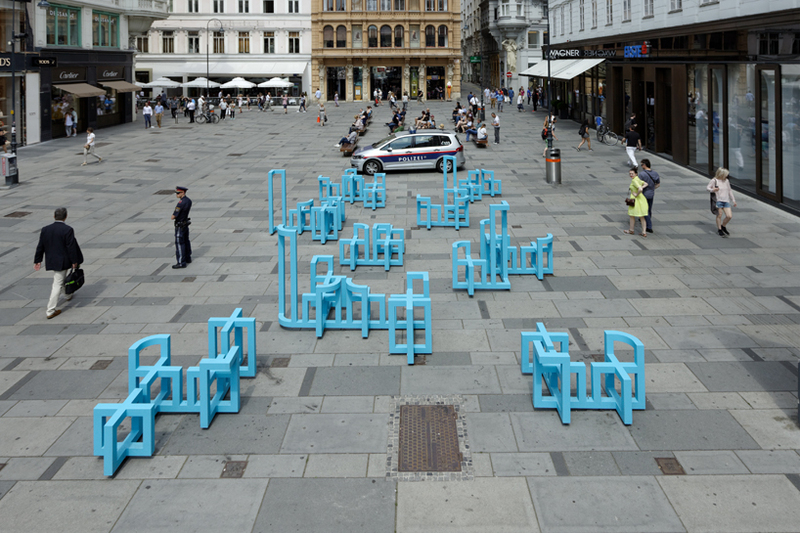 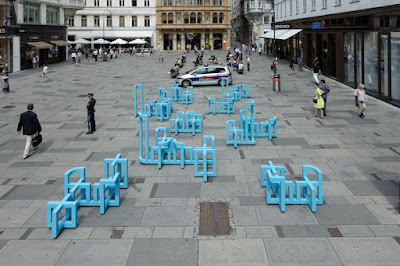 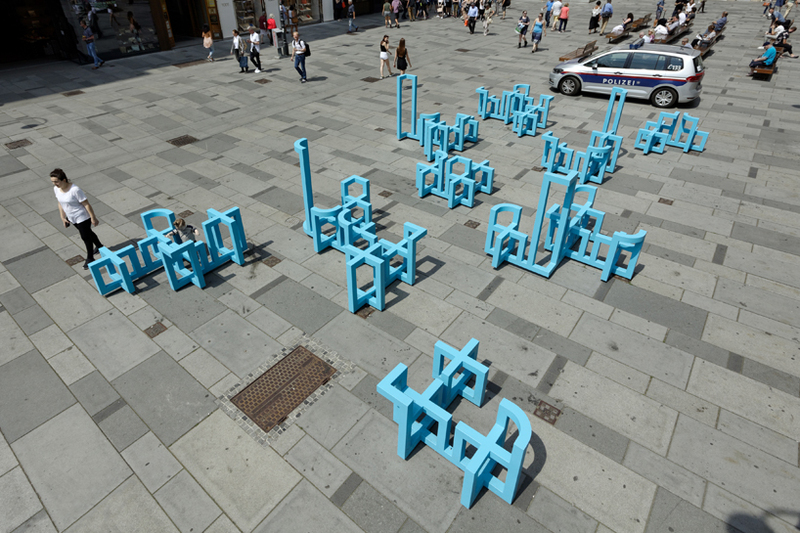 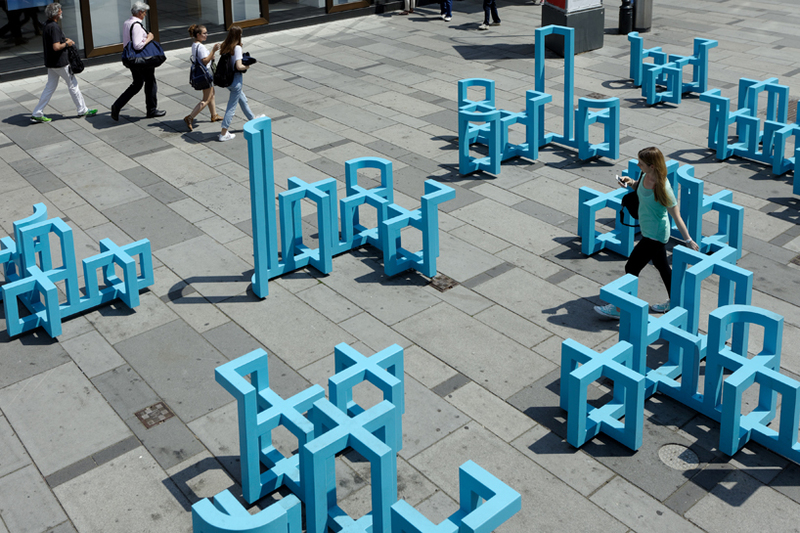 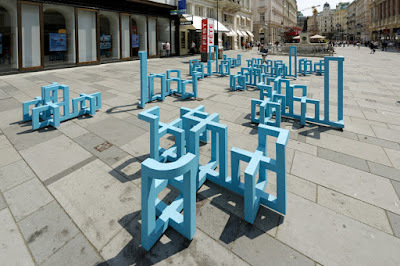 Didier Faustino has transformed Vienna’s Graben street with his installation ‘domestic landscape 2.0’ for KÖR. 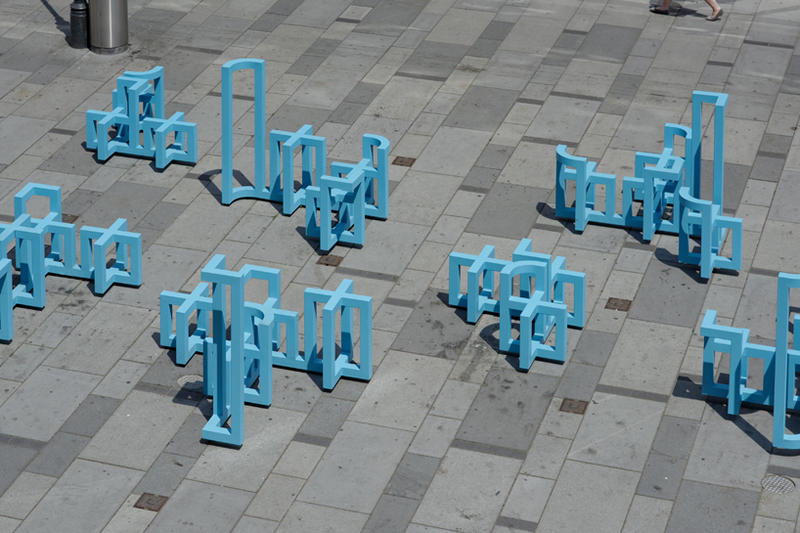 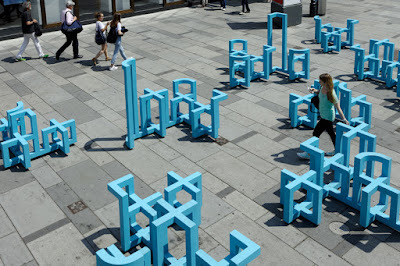 The urban furniture assemblage which was constructed in the well-known area of the city is composed of blue paint steel structures which provoke a sense of curiosity and play. Based on the form of a chair, the gird-like structure for KÖR is multiplied as a matrix and then extended throughout the space. 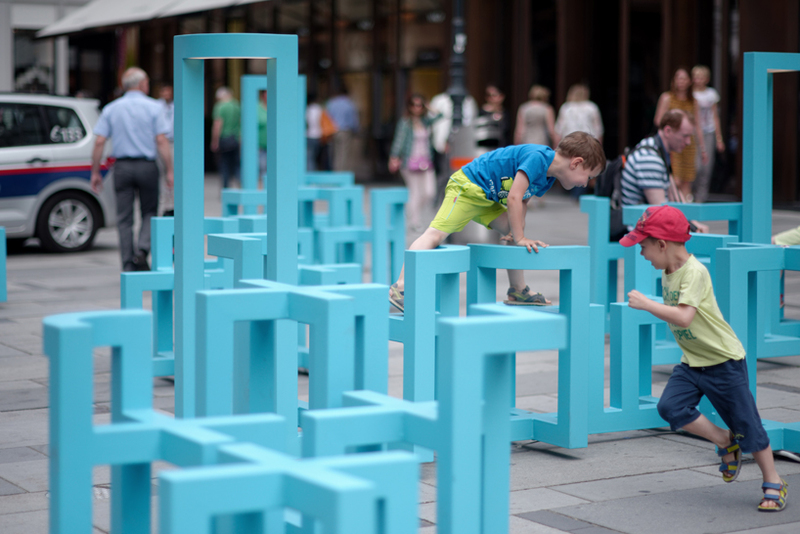 The addition of tables and dividers positioned at different heights establishes an interior space within an outdoor setting.